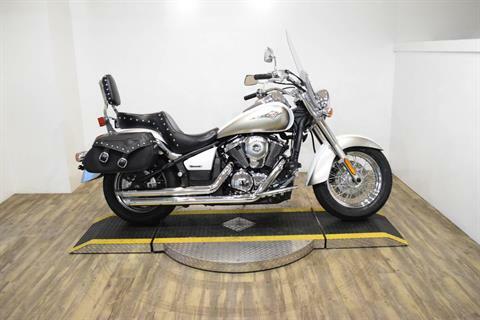 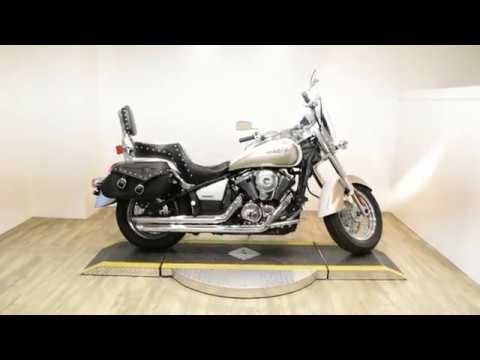 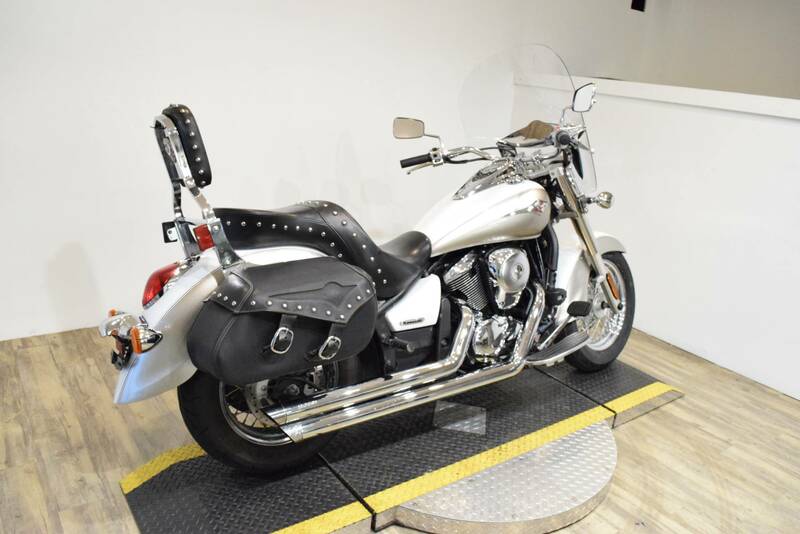 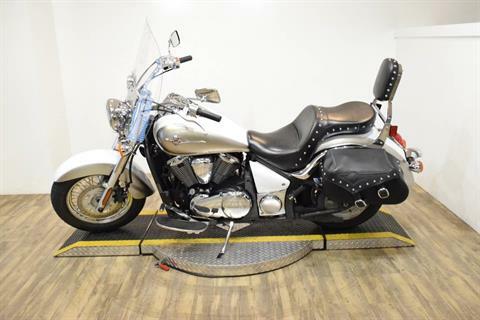 KAWASAKI’S VULCAN® 900 CLASSIC LT: LUXURY CRUISING IN A WALLET FRIENDLY MID-SIZE PACKAGE Fully-loaded cruiser is ready for open road adventures. 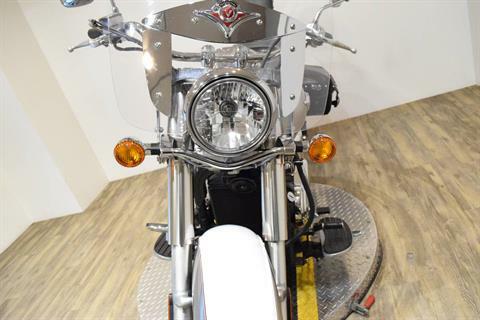 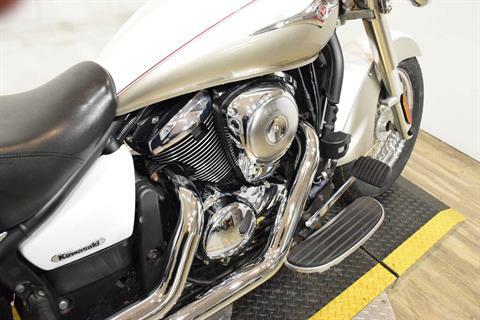 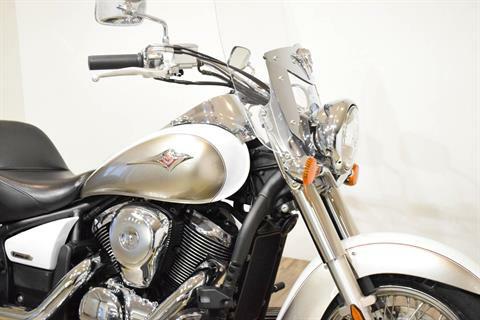 The Kawasaki Vulcan® 900 Classic LT motorcycle builds upon the class-leading attributes of its Vulcan 900 Classic sibling with enhanced style and additional custom touring features. 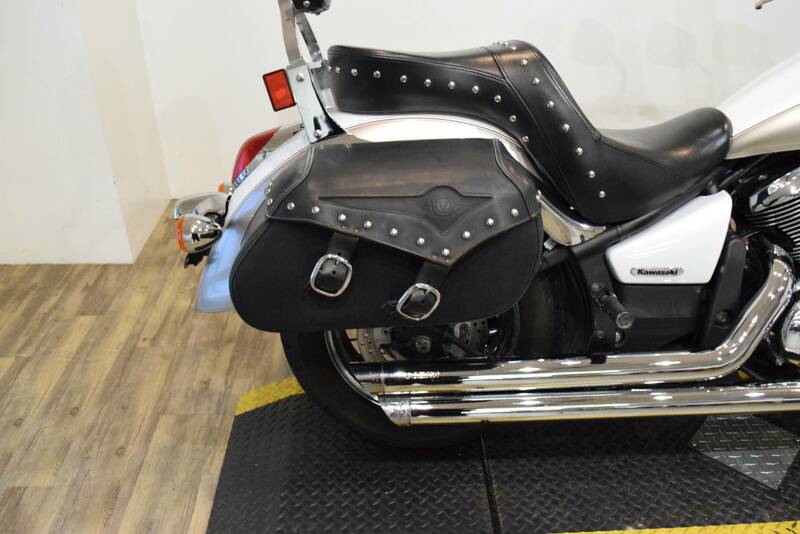 The Vulcan 900 LT arrives at the dealer already accessorized with saddlebags, special touring seat, passenger backrest and an adjustable windshield. The only add-on missing from the showroom floor is the riding enjoyment that this Vulcan provides its owners once they take delivery. 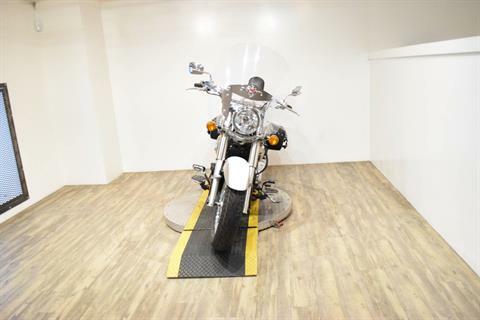 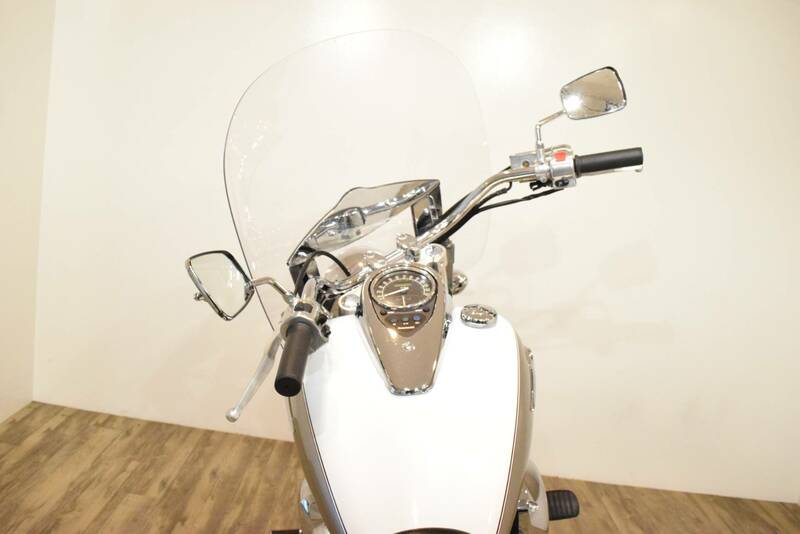 This mid-size Kawasaki offers the same excellent riding characteristics as the Vulcan 900 Classic featuring a category-leading 903-cubic-centimeter engine displacement and "big-bike" look and feel, and does it with eye-catching features for riders that think touring represents the ultimate get-away. 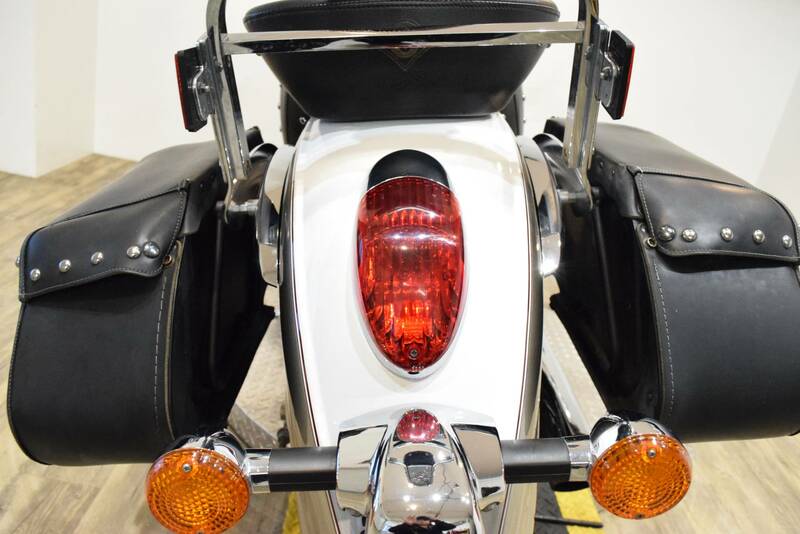 The stylish saddlebags are made of reinforced top grain cowhide carefully selected "true" to minimize leather flaws and deep-dyed to prevent scraping off the finish. 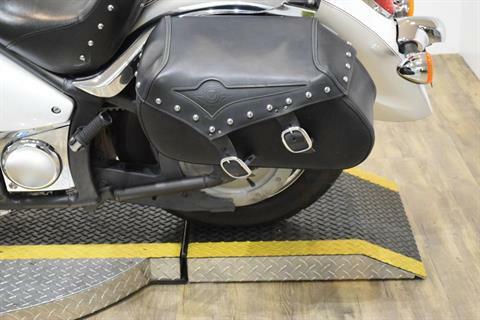 Perfectly sized, they provide a slant-top opening, fastened with two 1.5-inch wide leather straps that feature chrome buckles and stealth quick-release fasteners. Rounding out the look of these bags is an embossed Vulcan logo on the reinforced, dual panel liDual Sport, and chrome plated brass stud accents. 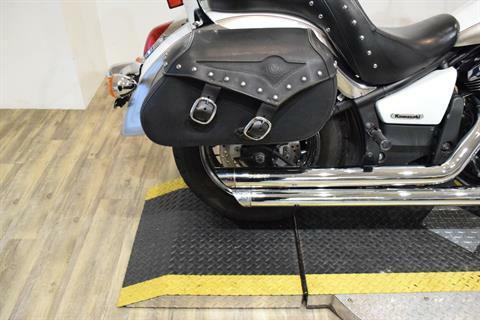 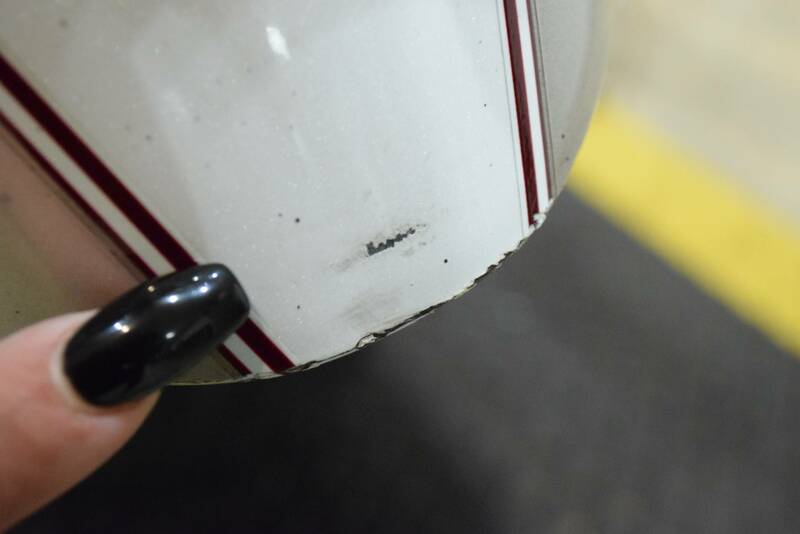 Helping to protect both the bags and their contents are metal reinforced upper edges to help maintain shape, and rolled and riveted top liDual Sport to help keep unwanted moisture out. 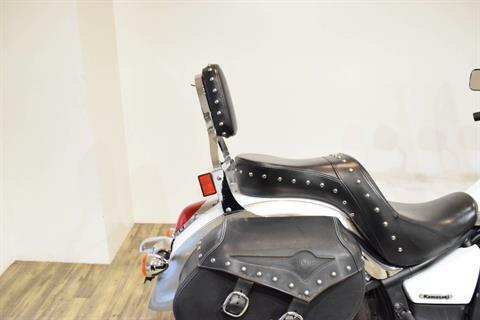 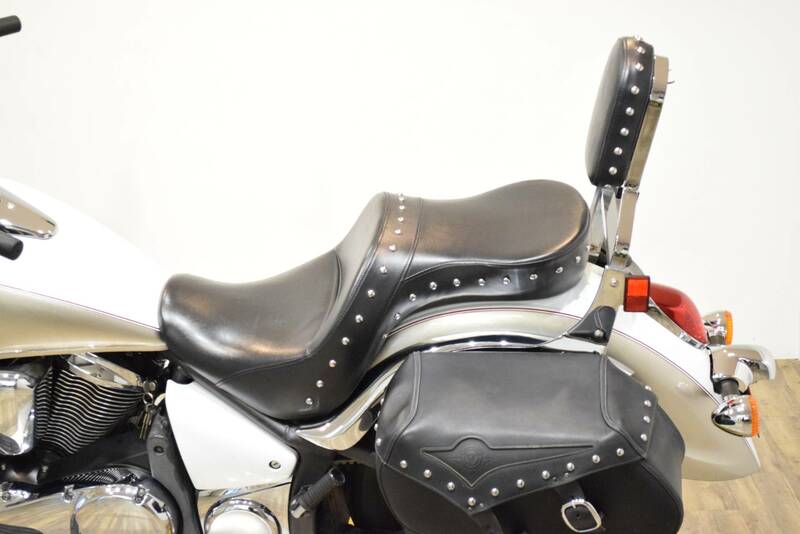 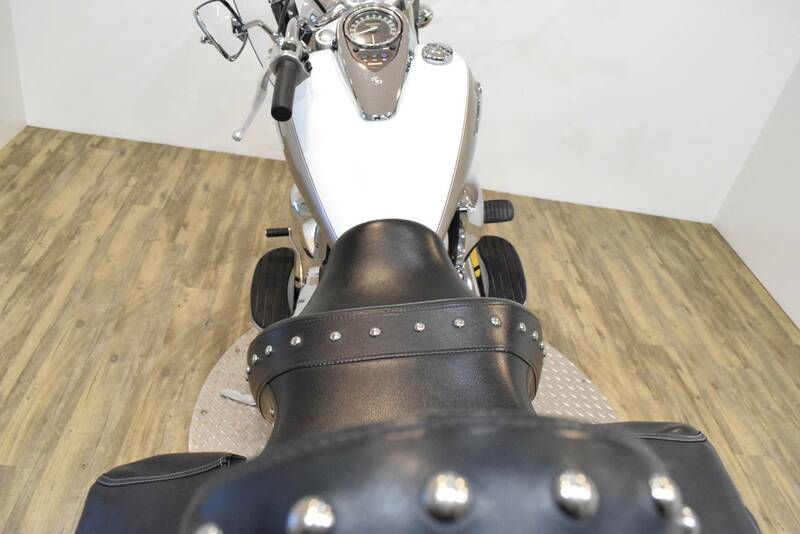 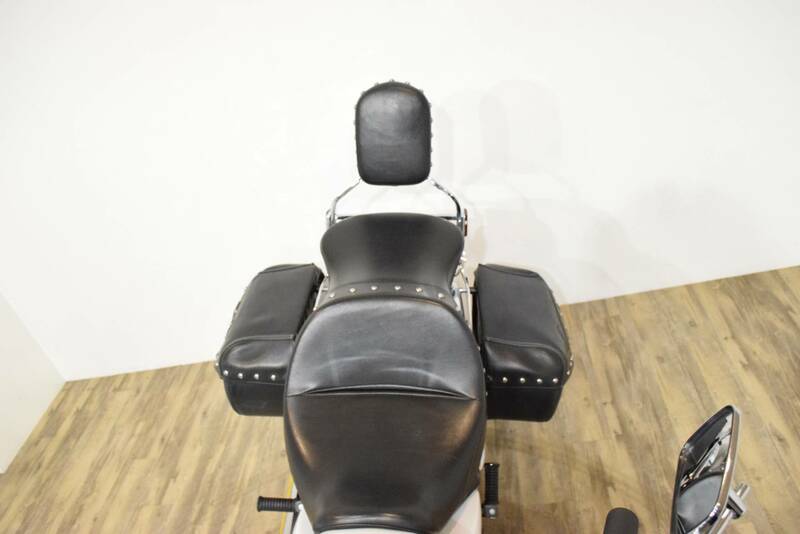 The rider’s seat and passenger backrest combine to offer both comfort and a look that places the Classic LT among the most stylish motorcycles on the highway. The seat and the classic, tombstone-shaped passenger backrest are detailed with chrome plated brass stuDual Sport to match the bags. 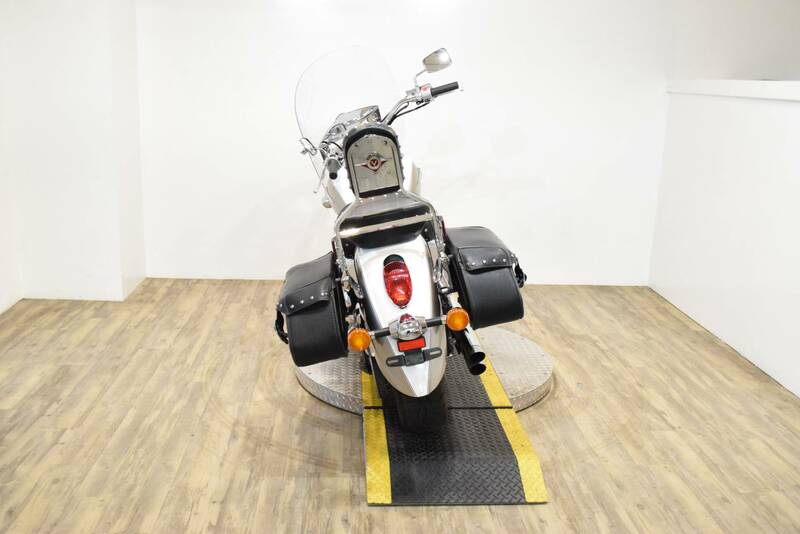 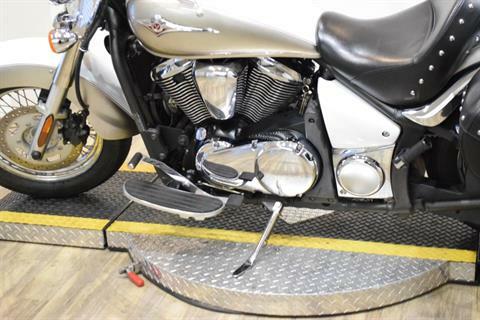 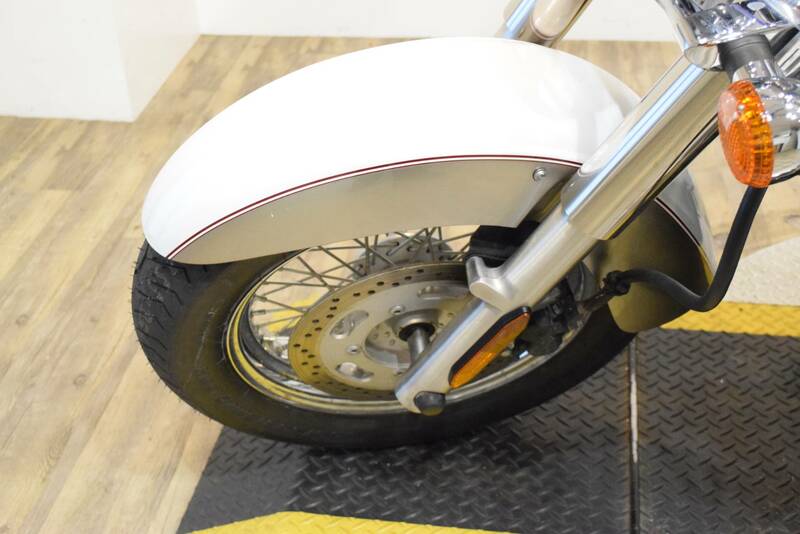 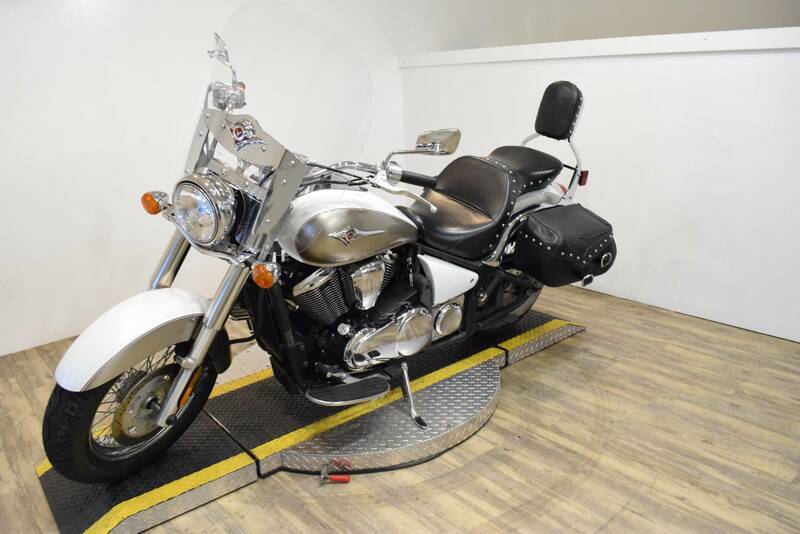 In addition to comfortable seating, this long, low cruiser offers some serious wind protection through a thick, optically correct, acrylic plastic winDual Sportcreen that’s shaped to smooth airflow around the rider. In addition to appreciating the 900 Classic LT’s good looks, riders will find themselves enjoying a ride that was previously found only on larger cruisers. 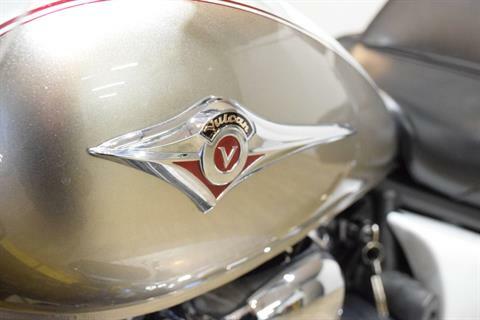 Applying lessons learned on the Kawasaki’s Vulcan 2000, the Vulcan 900 models deliver exceptional roll-on acceleration, easy maneuverability, and performance equal to larger displacement competitors. A low-maintenance belt drive on the Vulcan 900 Classic LT keeps the overall weight down and improves the rear-end styling. 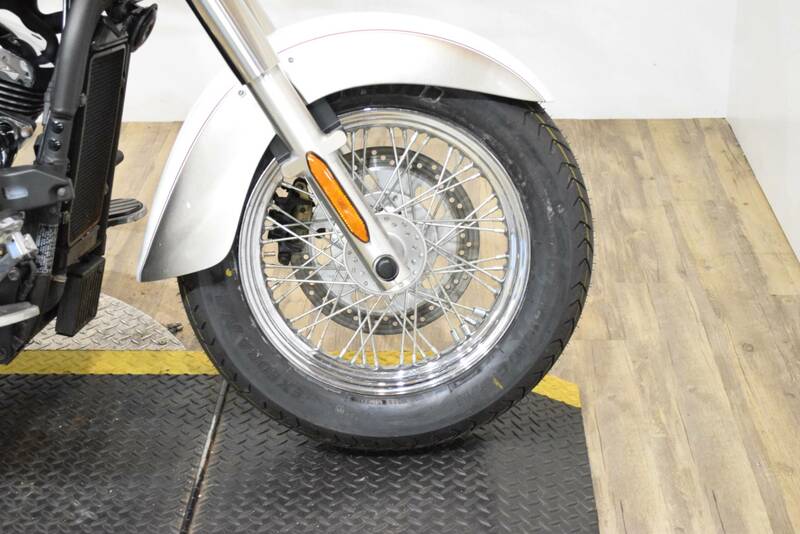 Any mention of rear-end styling has to include its large 180-millimeter wide rear tire, the largest in the category. 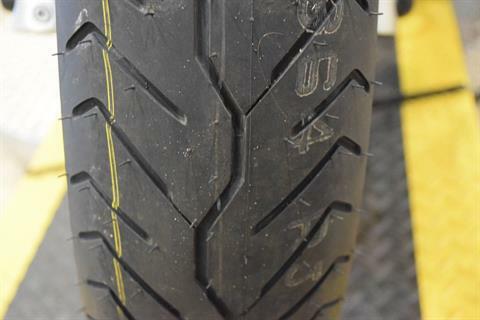 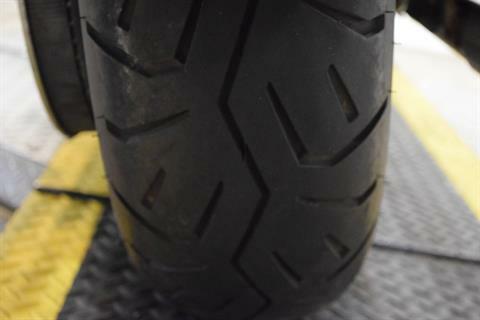 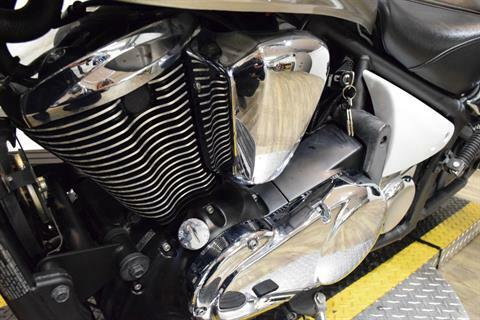 The beefy, "big-bike" look of the larger tire accentuates the guttural, classic V-twin sound that is produced by the use of a single-pin crankshaft. Both look and sound EVOke the feel of a much larger motorcycle. 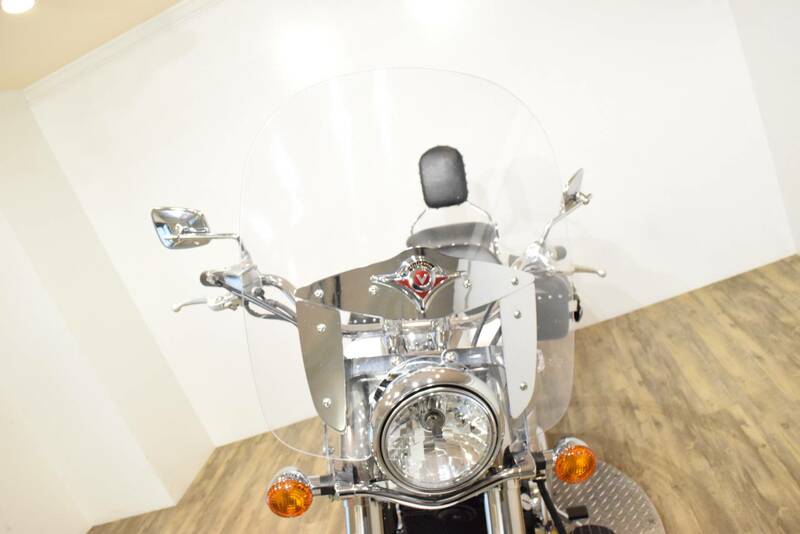 The Vulcan 900’s larger look and feel should not alarm a potential rider. 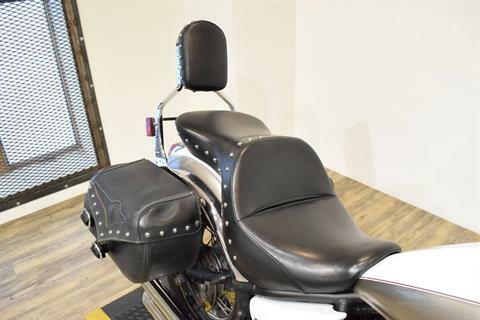 Its low seat height, chassis rails that provide a narrowed shape and tapered seat design that flows comfortably into the tank offers plenty of accessibility for shorter riders and comfort for all riders. 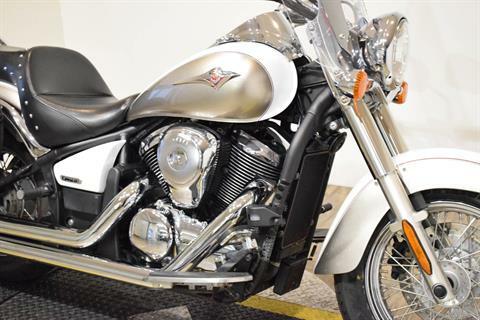 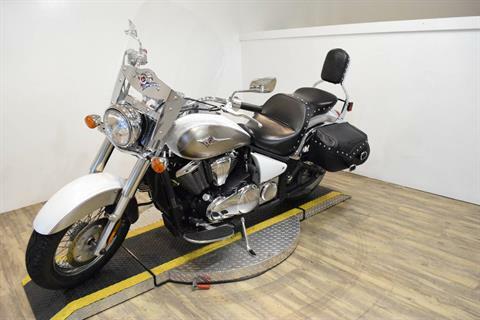 Equally at home around town or when the open road calls, this motorcycle is built for hour after hour of touring pleasure. The combination of wide handlebars and an ideal relationship between the bars, seat, and floorboarDual Sport coupled with its roomy passenger accommodations make highway trips and long days in the saddle a real joy. 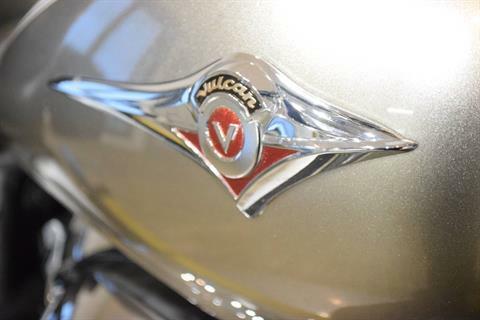 The Vulcan 900 Classic LT is available in the following two-tone color combinations: Candy Cardinal Red / Metallic Diablo Black, Luminous Polaris Blue / Atomic Silver or Pearl Crystal White / Metallic Titanium. 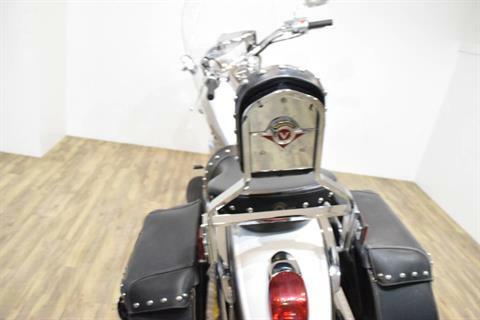 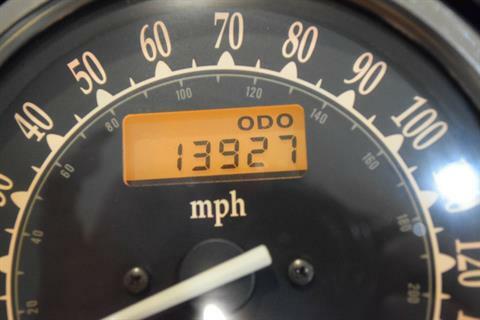 Whatever the selection, Classic LT owners will be noticed by everyone they pass along the highway.